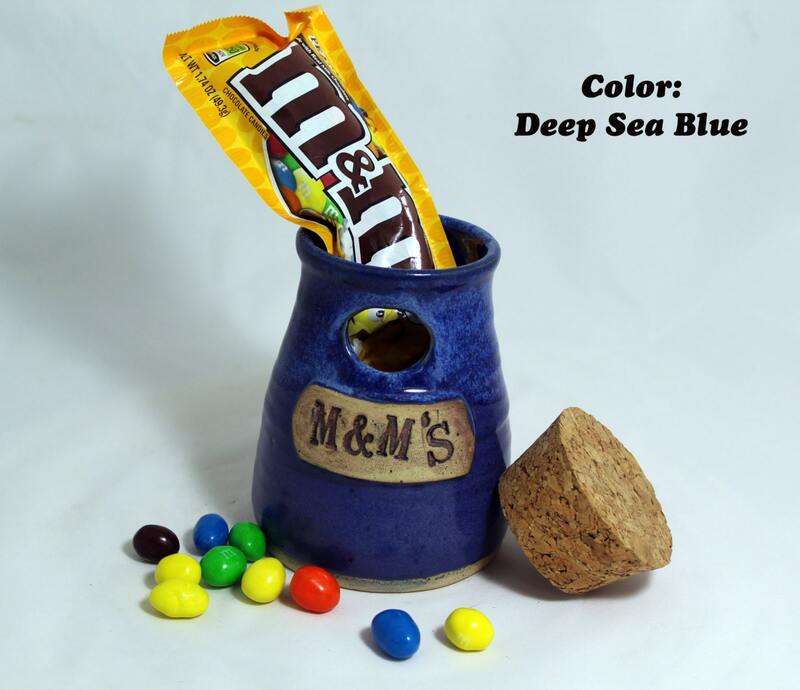 Satisfy your cravings and sweeten your day with this hand crafted stoneware pot to hold your favorite bits of chocolaty goodness. 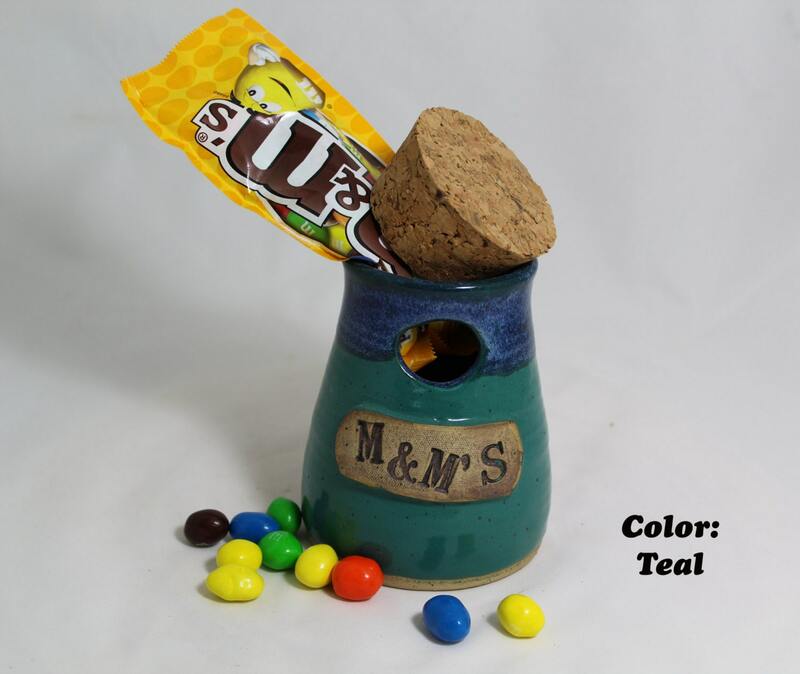 Just shake the jar and pour out a handful of your favorite colorful chocolate candies. 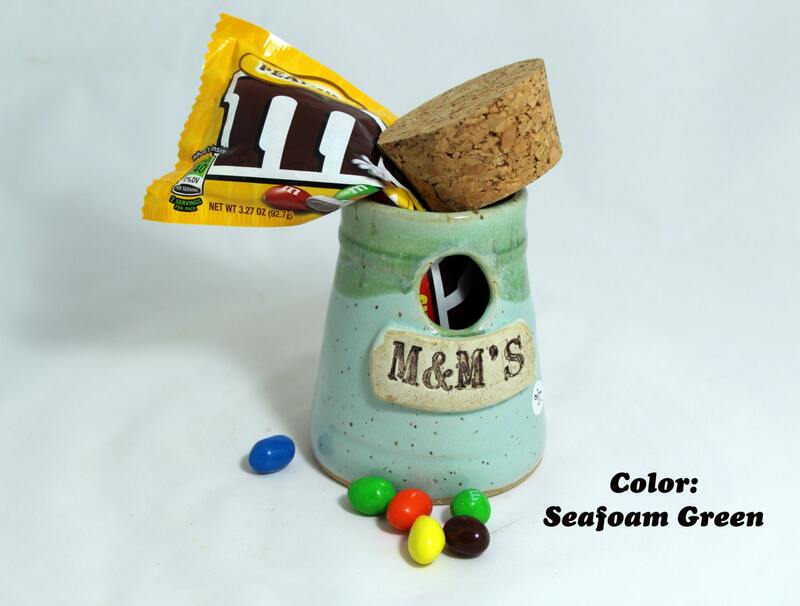 A perfect gift for the M&M lover in your life, this jar can hold a full bag of small or large m&m's. 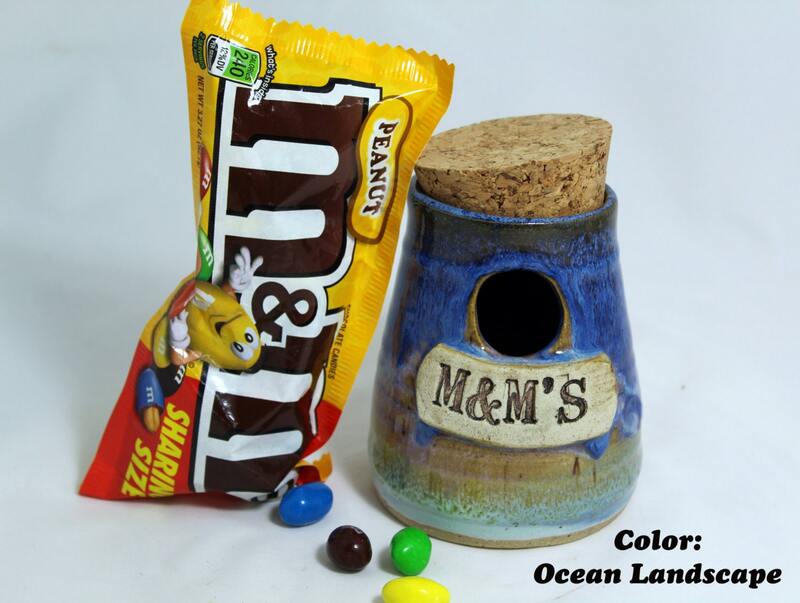 Included is the cork stopper for the top to help keep your favorite candy fresh as the day it left the bag. Designed by master potter Richard Collison, The gifts of nature are brought together to create beautiful unique works of art. Our glaze recipes have been tweaked and perfected for 28 years now! Allowing us to create a beautiful and functional pot for your use and viewing pleasure. 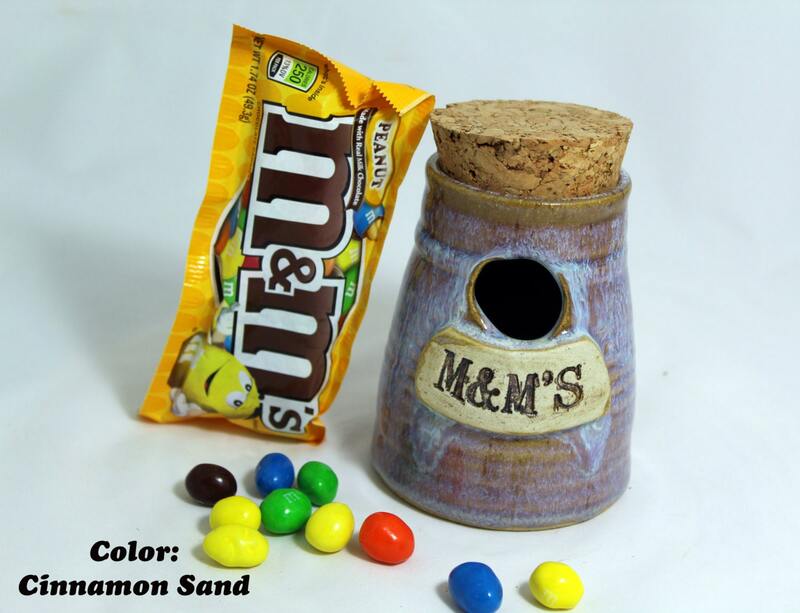 All of our pottery is handmade and stoneware, making each piece oven, microwave and dishwasher safe. Please note that as a handmade item, there may be slight variations in sizes and color. We do our very best to create a uniform product.